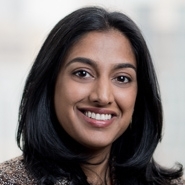 Principal Bina Reddy (Austin) will speak in a webinar hosted by the Association of Corporate Counsel (ACC). The webinar is titled "I Always Feel Like Somebody’s Watching Me – How to Mitigate Enforcement Risks from U.S. Citizen Environmental Monitoring and Crowdsourced Data" and will take place from 1:00pm to 2:00pm (EST) on December 4, presented in conjunction with Beveridge & Diamond's sponsorship of ACC's Environmental & Sustainability Committee. The webinar will provide an overview of why citizen monitoring has dramatically increased and how it is being used, current federal and state programs and guidance, and suggest concrete actions to mitigate potential enforcement risks in this quickly changing landscape. With recent technological advances, citizens can use low-cost handheld sensors to monitor for a wide range of environmental pollutants in their communities and share the collected data instantaneously. The U.S. Environmental Protection Agency and many states encourage citizen monitoring to help fill data gaps but have not articulated clear standards for how to use or interpret this data.